In the last decade or so we have seen a renaissance of sorts when it comes to games that give players the ability to create their own maps and levels. While a number of titles from 10 and 20 years ago had such a feature, today players seem to crave the ability to use their own creativity and imagination toward making something fun and different. When thinking about such types of games, it’s impossible not to mention Minecraft. Originally made by one man, Minecraft released in beta form in 2009 and almost immediately sold around one million copies. What’s remarkable about this is that it had no advertising budget whatsoever, which means the game grew in popularity simply based off players recommending it to each other. Today Minecraft stands as the greatest indie success of our time without initial help from a publisher, a massive budget, or cutting-edge graphics. Instead, it simply gave players the ability to do one thing: build. This was a drastic change from the average big-budget title that had players doing the usual—shooting bad guys, defeating bosses, completing stages, etc. Minecraft was a breath of fresh air since it didn’t tell you what to do or even what to build. We were simply placed in a blocky world with the freedom to satisfy our natural desire to build and create. Fast-forward to 2015 where another “creation system” game is currently entertaining hundreds of thousands of gamers. That game is Super Mario Maker, which coincidentally serves as the perfect way to honor 30 years since the original Super Mario Bros. released. 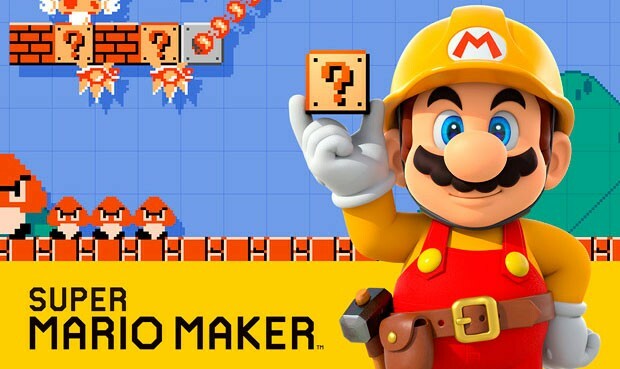 Despite not having a main story with Nintendo-made levels, Super Mario Maker has been praised by fans and critics alike for its great online features, easy-to-use editor, and incredible amount of tools to play with. Whether it’s a level designed to troll players or a creative “Don’t Move” course that can only be completed if you don’t touch the controller, players are having a blast seeing what they can come up with and what other players think. Super Mario Maker has also sold more than half a million copies and driven Wii U sales up by around 110% in the U.S, all in its first month. In other words, players are more than willing to check out a game that gives them the tools to create something unique for others to enjoy. Plenty of other games in recent years have helped players tap into their game/level designer side. More than a decade ago the TimeSplitters series offered what at the time was one of the best level editors of any game. Players could create their own level by using a selection of pre-made tiles, themes, light settings, enemies, and more. Then there’s the puzzle platform LittleBigPlanet’s titles, which allowed users to build and customize their own levels that could then be uploaded to the PlayStation Network. Project Spark for Xbox One has been received positively for its powerful tools that, despite requiring a lot of time and effort to master, let players make some pretty impressive experiences. Halo’s Forge mode is a multiplayer map creation system that has always been a popular feature in the franchise. Halo 5: Guardians now looks to deliver the best Forge experience ever by offering more than 1,600 objects, countless tools and options, an enhanced editing system, and more. Only time will tell how other developers react to the ever-growing popularity of games and features that give players the tools to craft their own creations. Although there’s nothing easy about implementing these features, especially with titles that already have tons of other content for developers to work on, it’s awesome to imagine games like Uncharted, Assassin’s Creed, and Call of Duty one day doing the same.